Hi everyone! I wrote up a feature for the My Creative Scrapbook blog and I thought I'd share it here too. It's all about how to make your patterned paper and embellishments go further. I have a bunch of tips and tricks to share with you. 1. Cut elements from a piece of patterned paper. 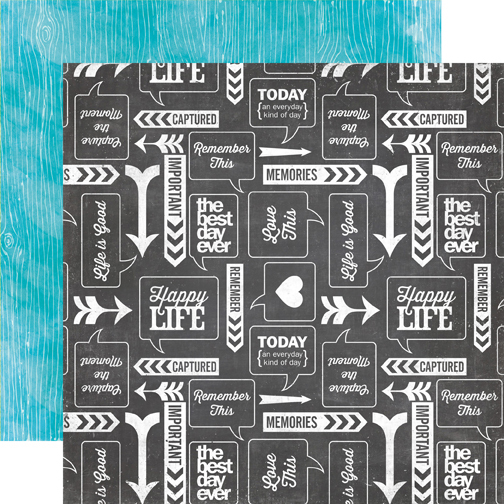 Look at all of the wonderful arrows and word bubbles on Echo Park's Here & Now Chalkboard Quotes paper! Let's cut some out and use them on a layout, shall we? I used three word bubbles on this layout (highlighted by black dotted boxes) and still have plenty (plus the woodgrain side of the paper) left to use on other projects. 2. 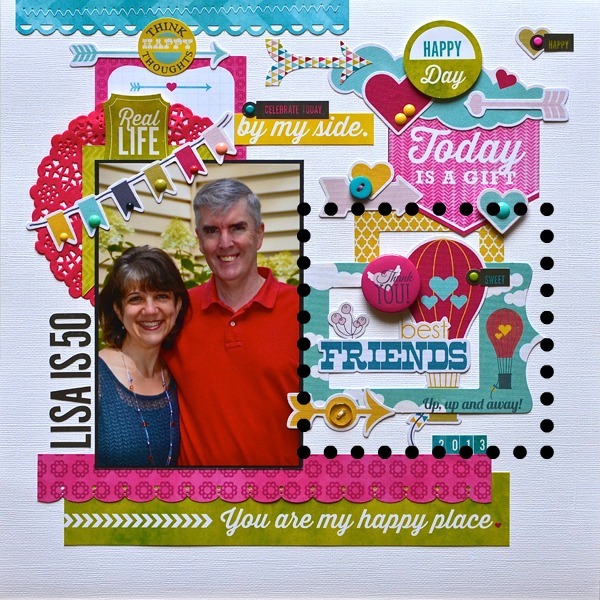 Combine diecuts to create an embellishment cluster or scene (highlighted by black dotted box). I layered two frames (only using a portion of the yellow one so I have the rest to use another time) and added in the hot air balloon, "best friends" diecut, some flowers, a couple of arrows and a heart. Letting some of the elements extend beyond the frame visually connects this cluster with other areas of the page. 3. Cut up your stickers. The half circle stickers you see on this page (highlighted by black dotted circles) were originally full circles. I cut them in half so I could accent multiple pockets on this Project Life page protector. Did you also notice that I used idea #2 for the top right pocket? 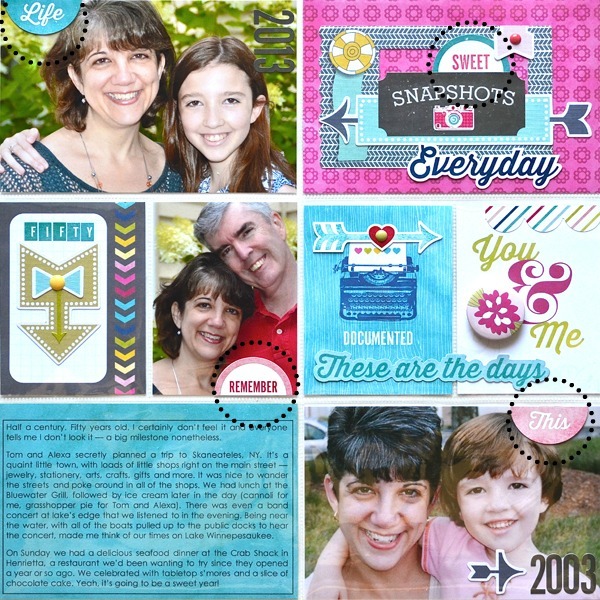 A frame, combined with arrows and stickers creates another fun cluster. I hope I've inspired you to look at your paper and embellishments in a new way. Layer them up. Cut them apart. Stretch them to their fullest. Awesome tips Lisa! Thanks for sharing them!!!! Great tips, sometimes supplies work best when not used in their intended manner (like cutting in half)! 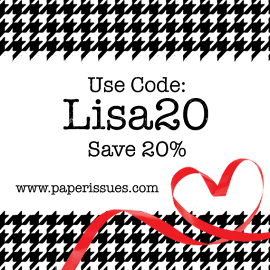 Great tips and really lovely pages, as always! Gosh all such great pages, you so rock those diecut clusters. beautiful work Lisa!! Is the black circle dots and squares a stamp? Great tips - love your pages. Those are some great tips! I actually use some of them. You're layouts are gorgeous, As always! Absolutely awesome! It is fun and satisfying when I remember to do this! 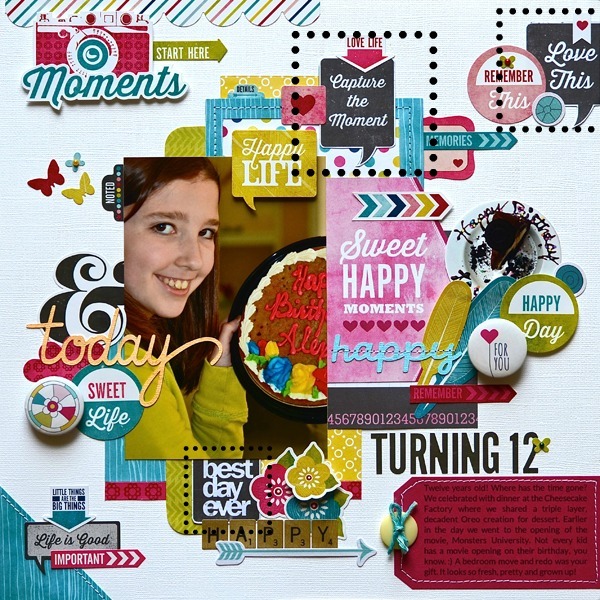 Beautiful job on all of these layouts! Great layers and very fun clusters!! 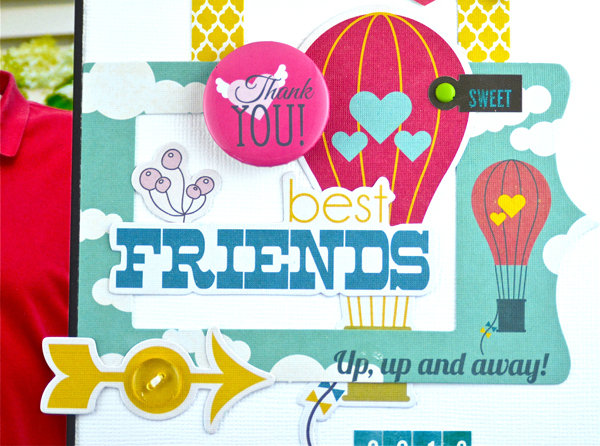 Love how you have used the embellishments and die cuts. TFS your tips. Super tips. I really like your black boxes around the chalkboard elements on the first one and think you should consider doing that in real life to your pages, LOL.